The 400 Chair (more commonly known as the Tank Chair), designed by Finnish designer Alvar Aalto in 1936, is one of the icons of furniture design and a Stardust Staff Pick. 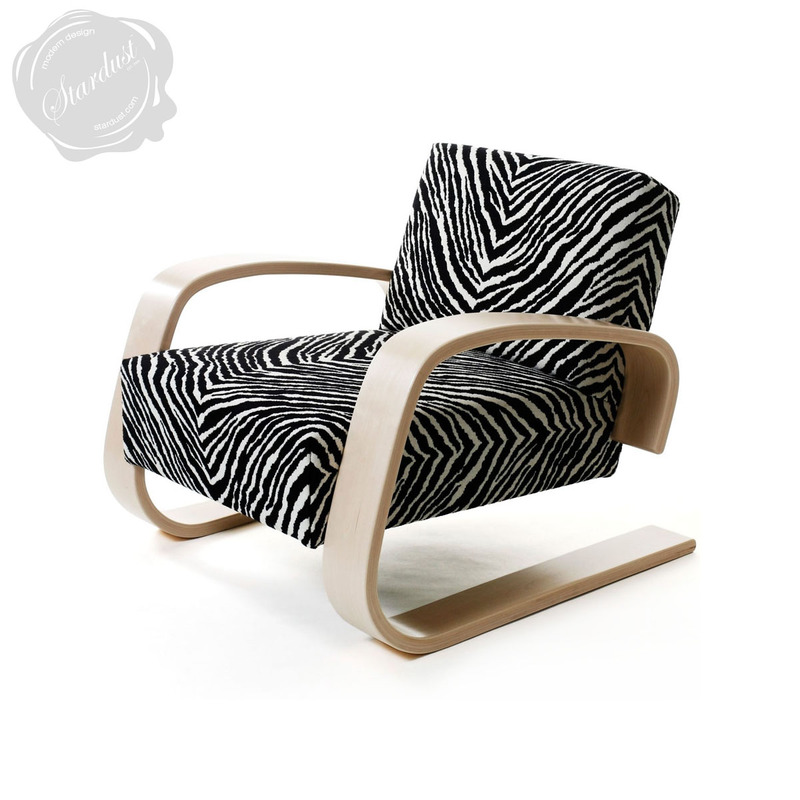 The 400 Tank armchair is one of the most beautiful chairs designed by Alvar Aalto. Its lightness and structural genius are without compare. Admired as much for its sculptural presence as for its comfort, the 400 Tank Chair by Alvar Aalto is a tour de force in bentwood that seems to test the limits of plywood manufacturing. 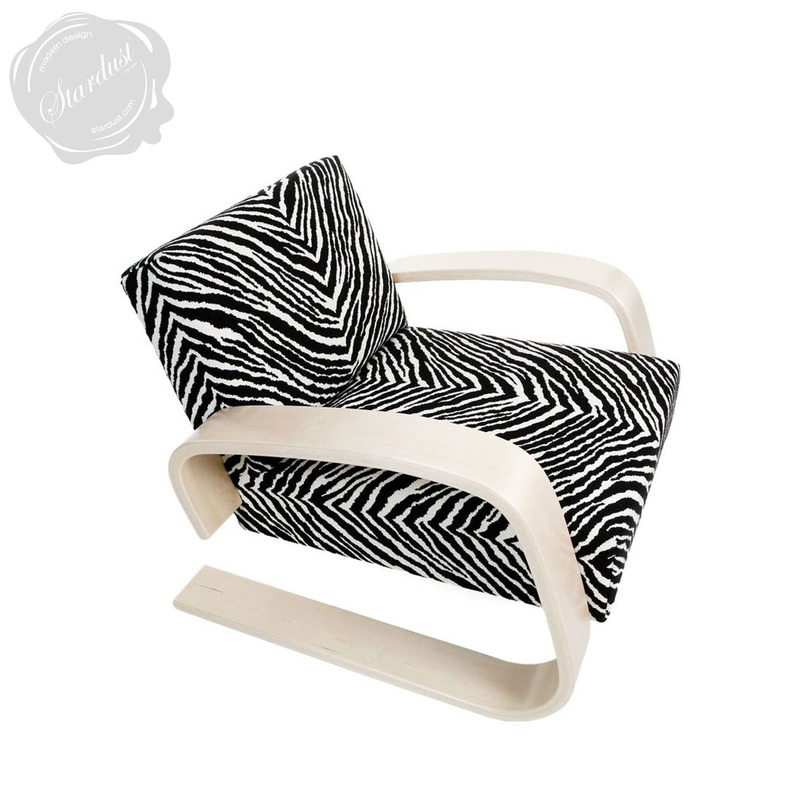 The 400 Chair by Alvar Aalto with its classic zebra-print upholstery fabric. Thoughtfully created, its bent arms, solid wood frame with metal springs and classic zebra-print upholstered foam cushion give the armchair a substantial feel. The low-slung sled base has earned it the nickname of the "tank". Part of design history, this piece can be viewed in the Museum of Modern Art's permanent collection. 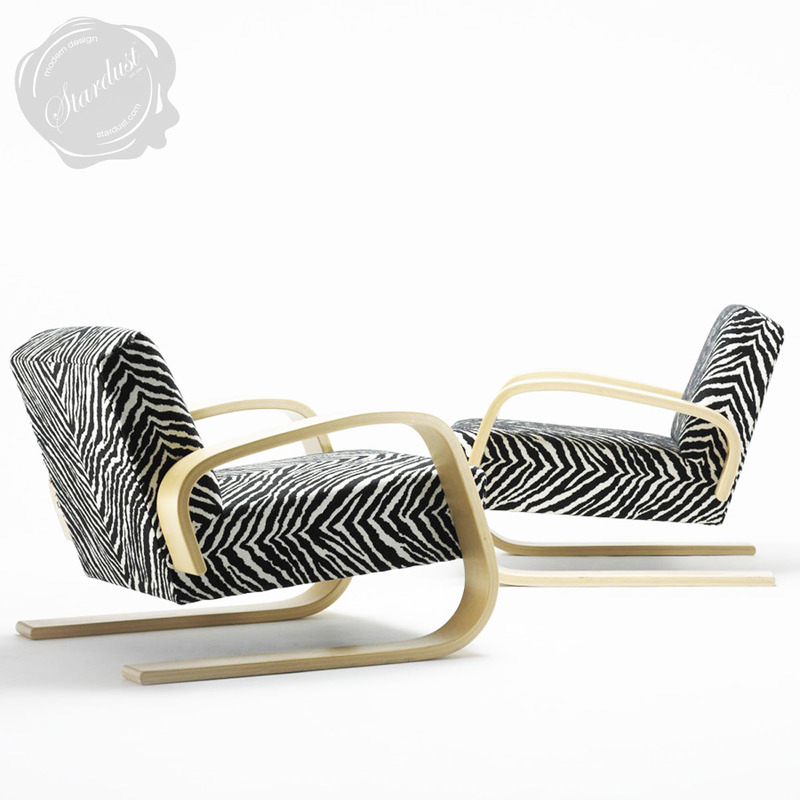 Made in Finland by Artek with an uncompromising approach to craftsmanship. 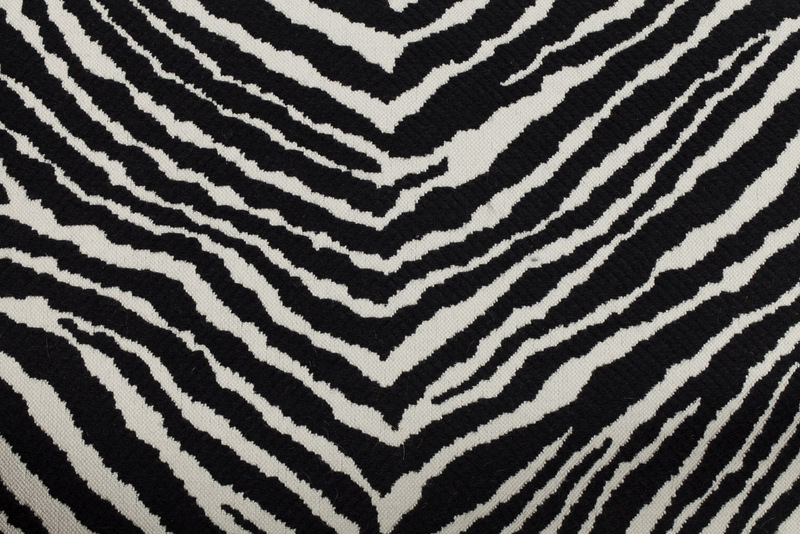 Available from Stardust with Free Shipping and a Low Price Guarantee. alvar aalto began designing furnishings as a natural and important extension of his architectural thinking. his first modern piece of furniture was created in 1931-32 for the tuberculosis sanatorium in paimio, which proved to be his international breakthrough. artek was set up in 1935 to market and sell alvar and aino aalto's furniture, lamps and textiles, particularly on international markets where artek focused its operations from the initial stages.